After revealing the R8 LMS GT3 racer last month, Audi felt we've been good enough to get our first gift of the holiday season — the production Audi R8 V10. The new engine makes it Audi's second most powerful production car ever. 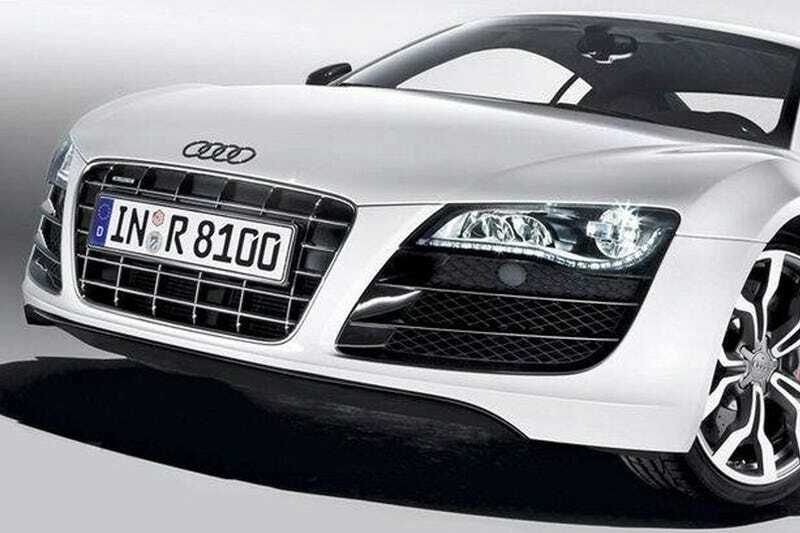 The internet's revealed the new V10 R8 a little bit earlier than we'd expected, but who cares? Nevermind being right before we were wrong, we're simply ecstatic to see the new up-powered R8 will receive a version of the Lamborghini 5.2-liter V10 to feed the most powerful production Audi ever built. The new R8 will get an estimated 528 bhp (552 HP), same as the bull-headed LP560-4 it’s borrowed from. It's also an iteration of the V10 power plant in the LMS GT3 racer and is sure to pack quite the punch in this application. You can pick the R8 V10 out from the rest of the pack by new headlamps featuring LEDs for both the High and Low beams; less slats in the front and rear grilles; a new set of spider-spoke wheels; larger side blade intake; and a new more effective rear diffuser with large oval tail pipes. The interior will remain the same sans for some new V10 badging. We're still waiting for the Spyder to debut, but you can expect a similar feature set. Expect to see the production Audi R8 V10 debut at the Detroit Auto Show in January.